The all-new Jeep Compass offers excellent 4×4 capabilities. As the compact SUV segment becomes increasingly competitive, the all-new Jeep Compass promises to deliver excellent 4×4 capabilities – a sound selling proposition since most SUV’s aren’t really designed for going off-road. 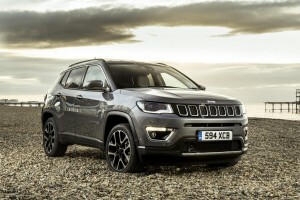 The Compass, however, has the heritage to back-up these claims and the distinctive Jeep design will find buyers. It helps also that there is lots of user-friendly technology on board and various active driver assistance systems to help make this a popular choice. Indeed, since the segment is expected to grow by 20% over the next three years to 7.5 million sales, the Compass could point the way to sales success. 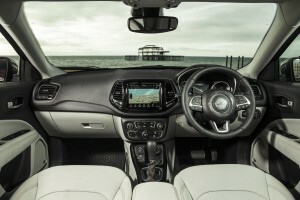 The engine choice for the Jeep Compass includes three diesel and two petrol units along with two gearbox choices; the six speed manual and a nine speed automatic transmission. Among the petrol engines is 1.4 litre turbocharged MultiAir unit that delivers 140 bhp and a 1.4 litre turbo unit producing 170 bhp. For those potential buyers wanting diesel engines, there’s a 1.6 litre Multyijet II unit delivering 120 bhp and a 2.0 litre engine producing 140 bhp – available with the nine speed automatic transmission plus 4×4 configuration. There are three trim levels for the Jeep Compass including Trailhawk which offers the best in class 4×4 capabilities though this particular model will not be available until late 2018. Behind the wheel, the all-new Compass offers improved on-road driving dynamics and there’s lots of advanced security and safety features. Among the long list is forward collision warning, blindspot warning, lane departure warning, rear cross path detection and a rear view camera. There’s also adaptive cruise control, electronic stability control and electronic roll mitigation along with six airbags. The Compass also has a safety cage for improved protection. The new Jeep also has a long list of options to suit a variety of lifestyles though most drivers will be interested in the off-road capabilities. There are two advanced intelligent full-time systems available which can send 100% of torque to any of the wheels when necessary. Other models come with the firm’s Selec-Terrain system which has five modes covering sand, snow, mud and water as well as the Trailhawk’s Rock mode. The new Jeep Compass will be available in dealerships from February next year with prices and spec details released closer to that time. 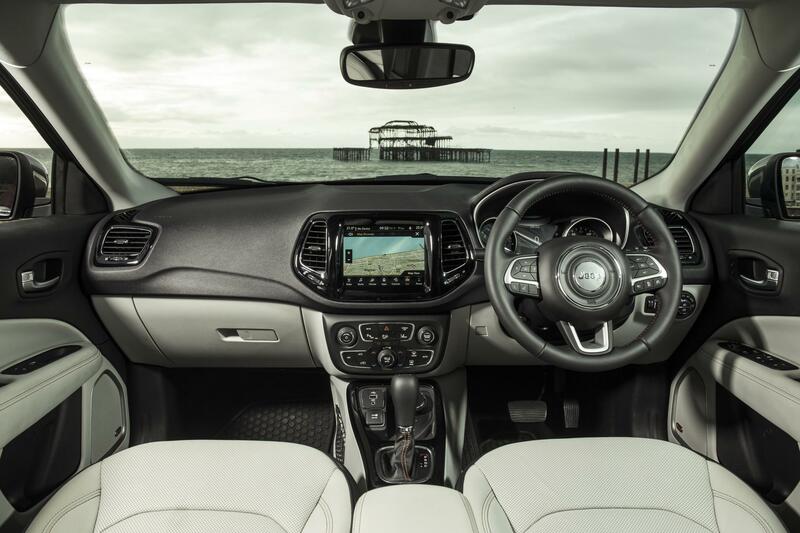 This entry was posted in 4X4 Car, Car Leasing, Cars, New Cars and tagged Jeep Compass by Steve Lumley. Bookmark the permalink.